MIAMI, FL –Dec. 1, 2017 – U.S. 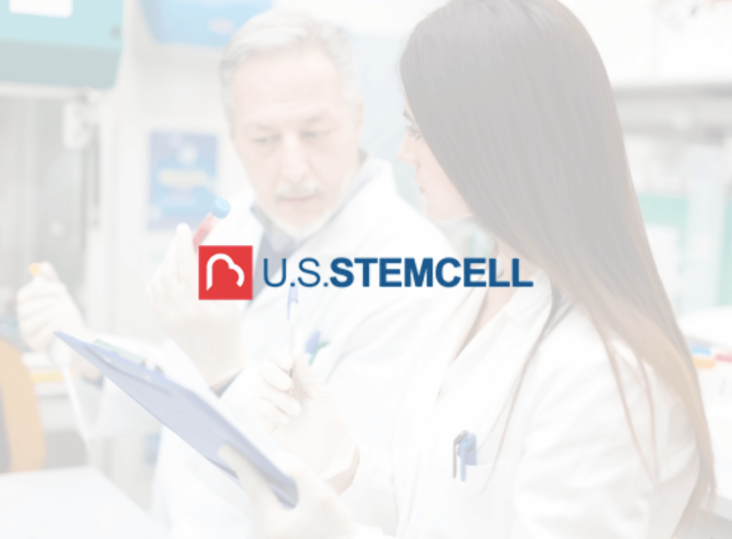 Stem Cell, Inc. (OTC: USRM), a leader in the development of proprietary, physician-based stem cell therapies and novel regenerative medicine solutions, today announced its Chief Science Officer Dr. Kristin Comella will present at the Healthy Masters Worldwide Forum, Saturday, Dec. 2. Dr. Comella, who is a global leader in the development of revolutionary holistic stem cell therapies, will discuss progress in the wide use of stem cells from a patient’s own adipose (fat) tissue, which offer a novel therapy for damaged tissue from a variety of indications including orthopedic, autoimmune, degenerative and neurological diseases. Her presentation, entitled “Regenerative Medicine: The Future of Medicine is Here,” includes results of a safety study and a knee study — each of which indicate stem cells harvested using USRM’s proprietary Adipocell™ procedures are safe and effective, respectively, and are a novel therapy for patients with damaged tissue. Adipocell™ is a kit of disposables and reagents used to isolate a patient’s own stem cells from fat, which is collected via an outpatient procedure. Once harvested and isolated, stromal vascular fraction (SVF) is injected into patients which may reduce inflammation, promote healing, and repair damaged/scarred tissue. The SVF population includes mesenchymal stem cells (MSCs), pericytes, endothelial/progenitor cells, fibroblasts and growth factors where the adipocyte (fat cell) population has been removed. In the safety study, which was published in the Journal of Clinical Medicine Research, an in-clinic use of stromal vascular fraction (SVF) was used for degenerative diseases in orthopedics, neurological conditions and systemic conditions. Approximately 60 ml of fat tissue was removed from each of the 676 patients using a local tumescent liposuction procedure. The fat was processed using the Adipocell™ kit and separated via centrifuge to isolate the SVF, and the cells were delivered intraarticularly, intravenously, intrathecally, or intradiscally directly into each patient. All subjects were monitored for adverse events. Results of the procedure demonstrated exceptional patient safety, and the study underscores the safety of autologous stem cell therapy in general. Few adverse events were reported and were overwhelmingly of mild and transient nature, such as the expected soreness at the site of liposuction and occasional headache. Overall, the study demonstrates a strong safety profile with low complication rates. In the knee study, which was published in the Journal of Translational Medicine, a total of ten patients underwent a local tumescent liposuction procedure to remove approximately 100 ml of fat tissue from each patient. SVF was isolated using USRM’s proprietary Adipocell™ enzyme digestion and resuspended in Platelet Rich Plasma (PRP) for intra-articular injection in the knee. The Western Ontario and McMaster Universities Osteoarthritis Index (WOMAC) score and six-minute walk distance (6MWD) were used to evaluate clinical effects and included measure of patient’s subjective assessment of pain, joint mobility, and physical disability. WOMAC score, 6MWD and laboratory tests were repeated at 3 and 6 months and 1, 1.5 and 2 years. XRAY and MRI were completed at 1 year. The average total WOMAC score was 64 at baseline and significantly reduced to 52 at 3 months, 46 at 6 months, 42 at 1 year, 38 at 1.5 years, and 41 at 2 years. Patients walked an average of 1310 feet at baseline and demonstrated a statistically significant improvement at 3 and 6 months and 1, 1.5, and 2 years post treatment. Cartilage thickness as determined by MRI improved by at least 0.2 mm in six patients, was unchanged in two patients and decreased by at least 0.2 mm in two patients. Overall, all of the patients were pleased with the treatment results. They reported a reduction in pain levels, especially after 3 months. More importantly, the procedure demonstrated a strong safety profile with no severe adverse events or complications reported. U.S. Stem Cell, Inc. is an emerging leader in the regenerative medicine / cellular therapy industry specializing in physician/veterinary training and certification and stem cell products and protocols. USRM also provides stem cell banking for patients and creation and management of stem cell clinics. To management’s knowledge, USRM has completed more clinical treatments than any other stem cell company in the world in the past 20 years, and has certified more than 700 physicians and veterinarians in autologous stem cell therapy worldwide. U.S. Stem Cell, Inc. is an emerging enterprise in the regenerative medicine / cellular therapy industry. We are focused on the discovery, development and commercialization of cell-based therapies that prevent or treat disease by repairing and replacing damaged or aged tissue, cells and organs and restoring their normal function.Our business, which includes three operating divisions (U.S. Stem Cell Training, Vetbiologics and U.S. Stem Cell Clinic) includes the development of proprietary cell therapy products, as well as revenue generating physician and patient-based regenerative medicine / cell therapy training services, cell collection and cell storage services, the sale of cell collection and treatment kits for humans and animals, and the operation of a cell therapy clinics.